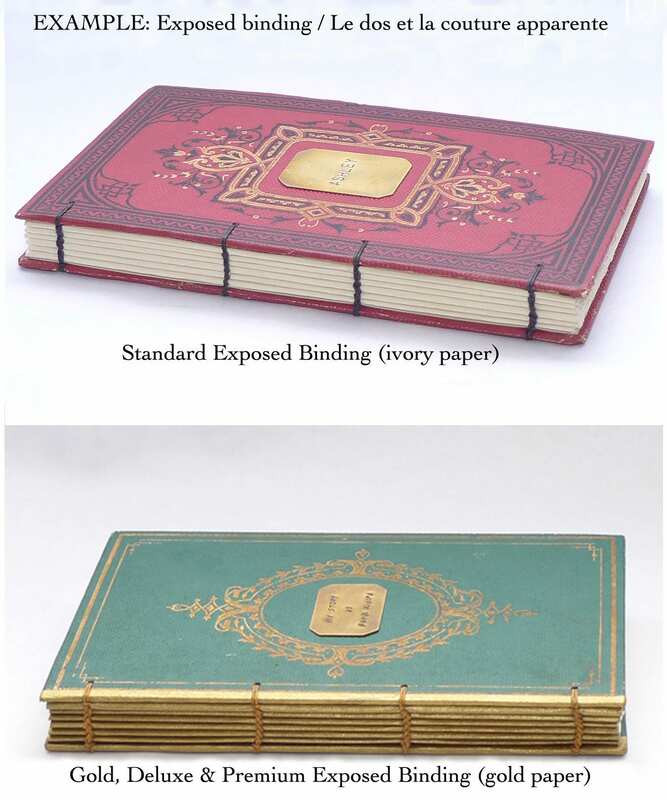 Spellbinderie offers extraordinary guestbooks made from antique French book covers. 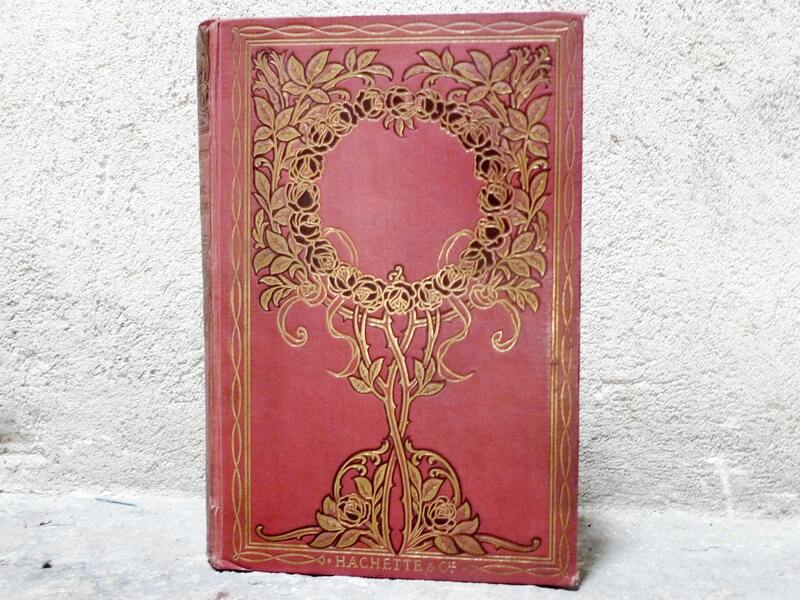 This listing offers a book with a romantic laurel wreath design. If you're searching for something unique with a touch of vintage charm, read on for ordering details. 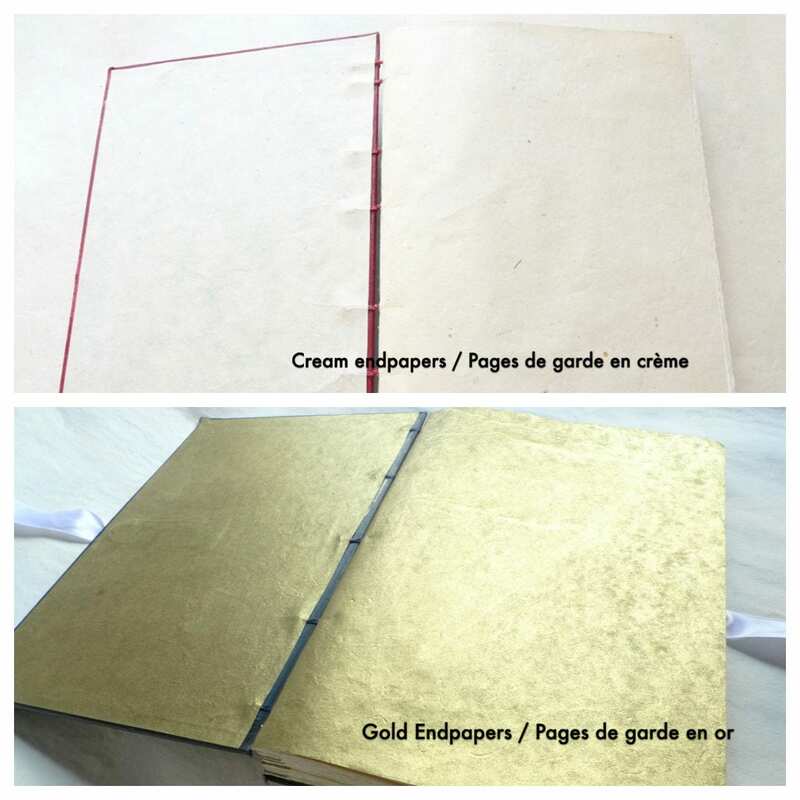 The original pages will be removed then the cover rebound with hand-torn ivory colored paper. 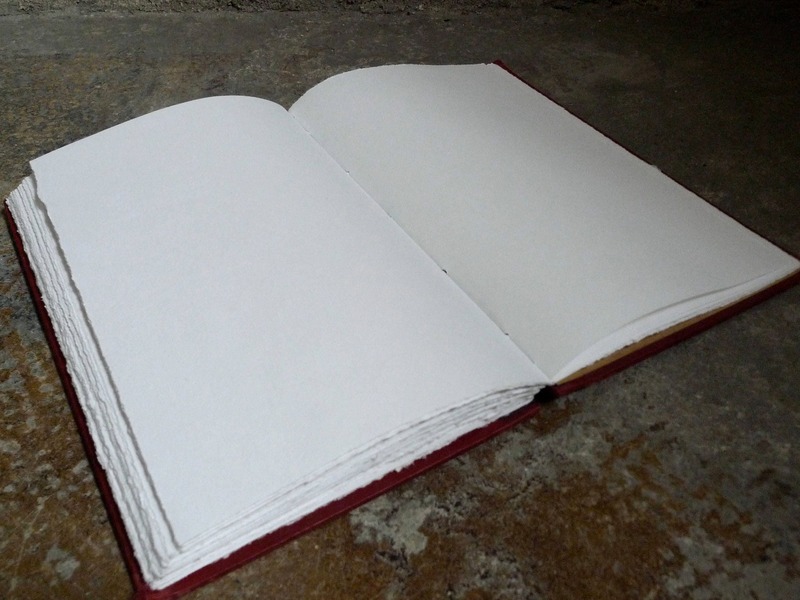 A variety of options are available for your guestbook. Choose from one of my popular packages below or contact me to for a custom package if you'd like to mix and match options. 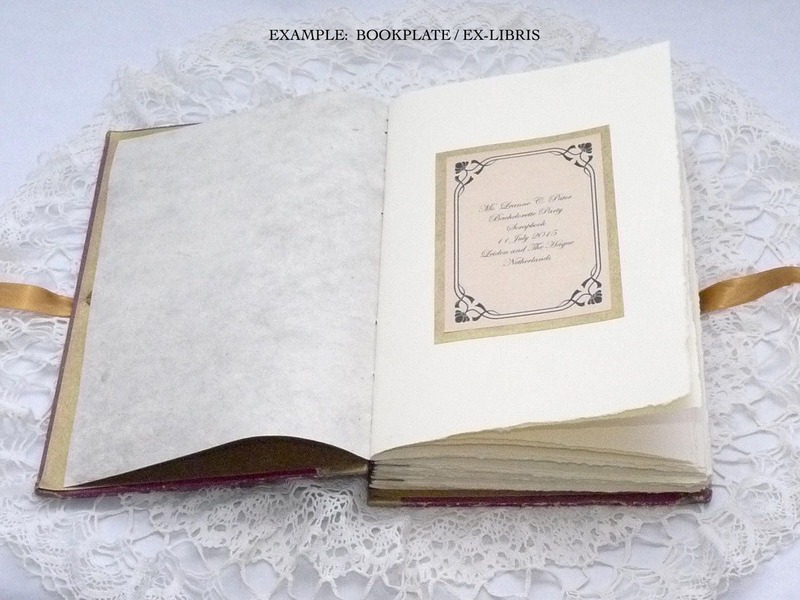 Choose a traditional guest book or scrapbook. 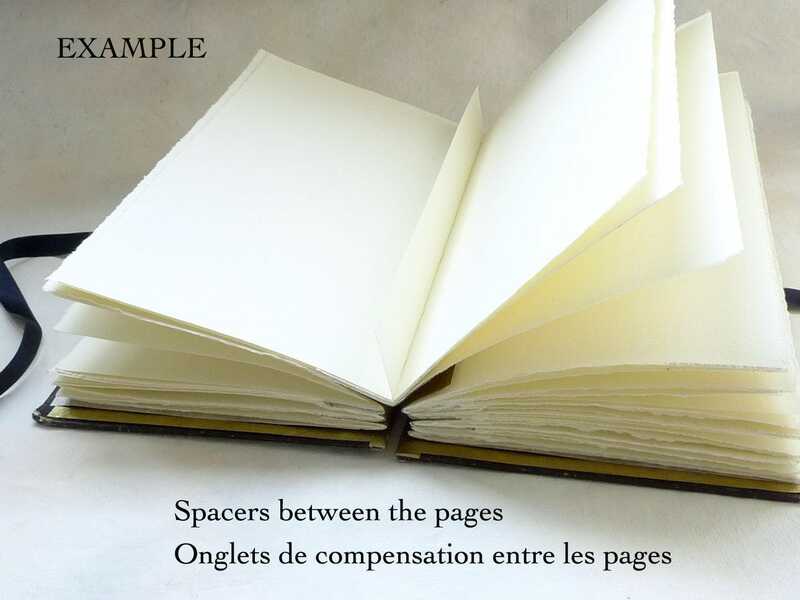 The scrapbook has spacers (narrow strips of paper) between the pages to expand the spine so photos and mementos can be added later while still allowing your scrapbook to close without deforming the spine. This option is good for those who'd like to add lots of photos. Shipped regular tracked mail. International shipping takes 10 - 21 days to arrive on average. Express shipping available at checkout which reduces the shipping time but does not reduce the processing time. For a rush order to decrease production time, please contact me for cost and availability. Beautiful book -- thanks so much!